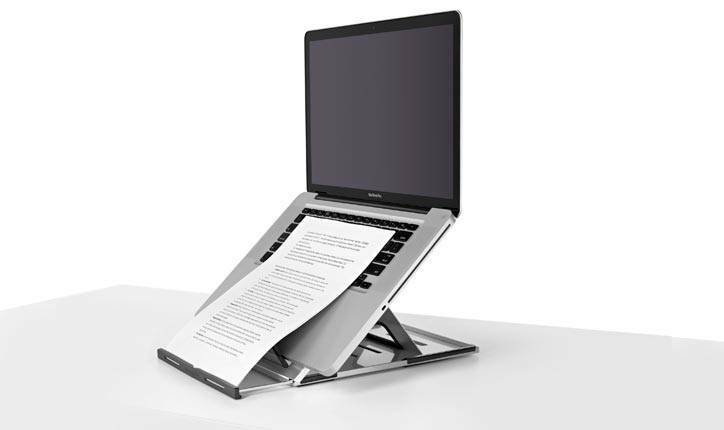 The CBS Laptop Stand folds flat and can be slipped into a briefcase or laptop bag. It provides mobile/hybrid workers with an ergonomic solution for their laptop. 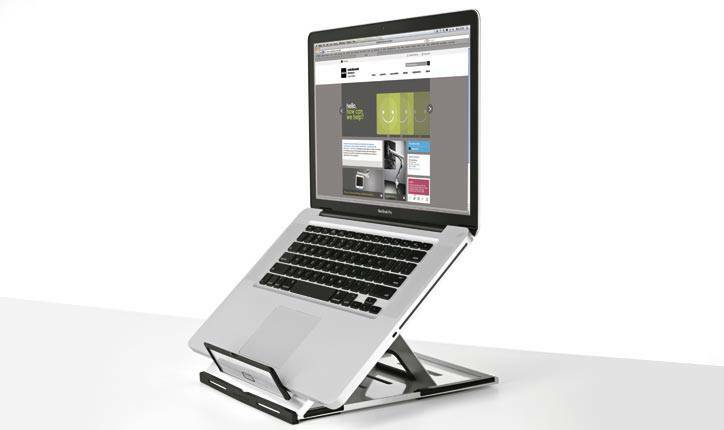 Made from strong, lightweight aluminum, CBS Laptop Stand folds flat and can be slipped into a briefcase or laptop bag. 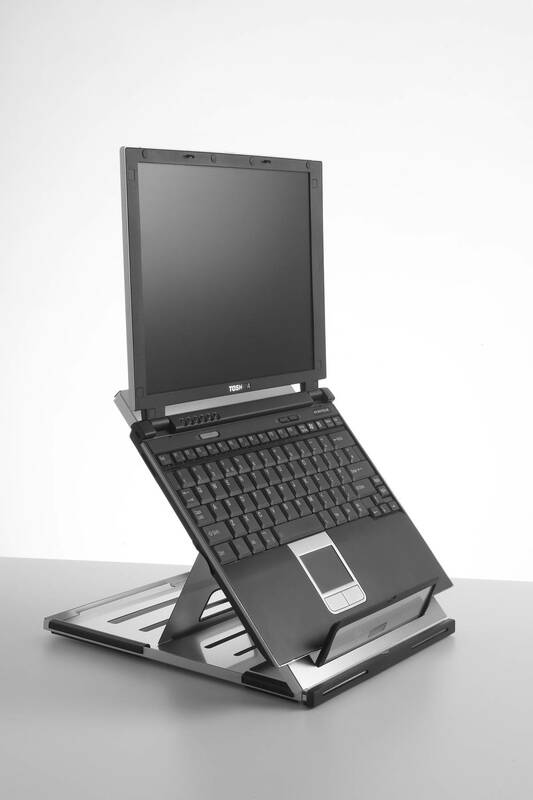 It provides mobile/hybrid workers with an ergonomic solution for their laptop.